If you don’t have a reactive dog, you may underestimate the sadness and heartache that can afflict pet owners who do. Owning a reactive dog is difficult because their triggers often set them into a frenzy of barking or lunging or some other excessive reaction. For a while, I didn’t know what to make of my dog’s reactivity. I’ve felt helpless, anxious, depressed, angry and even betrayed by my dog’s behavior. Finding some valuable online resources and support networks helped me learn about reactive dogs and how common a problem it is. I’ve been able to accept and manage my dog’s reactivity. Note: I am not a professional dog trainer and, as much as I like these websites, the best and most reliable way to get help for your reactive dog is to pay for professional help from a dog trainer or dog behaviorist. 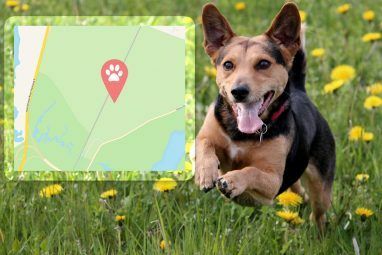 Perfect for dog parents Dog Owners: 5 Android Apps To Help With Your Furry Friend Dog Owners: 5 Android Apps To Help With Your Furry Friend A dog is the only thing on earth that loves you more than it loves itself, but you can still make it love you a little bit more with these great Android apps. 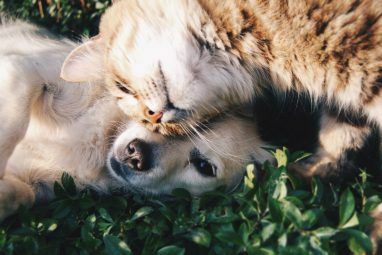 Read More (and cat parents) who need quick tips and techniques, Dr. Sophia Yin’s website features detailed articles outlining behavior exercises for reactive dogs. 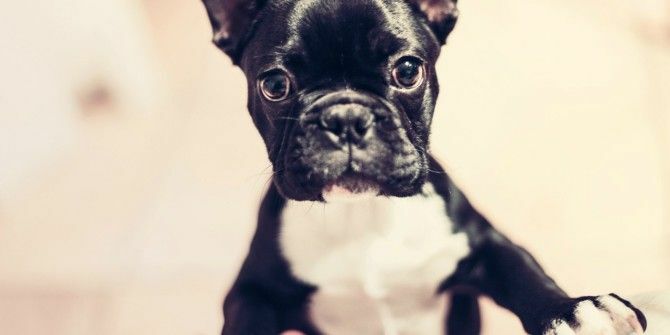 Dr. Yin’s site also reviews other common issues, such as separation anxiety and leash training, which can often be tied to reactivity problems. Additionally, this website offers an online course designed to tackle many reactive dog owners’ questions and concerns. At $40, Yin’s “Skills for Handling Your Reactive or Hyperactive Dog Part 1” course (No Part 2 yet) reviews impulse control management, and gives delivery tips and advice on how to break complex exercises into simple steps. Whether or not you take the paid course, you have access to articles discussing animal ownership, training techniques and general wellness at no cost. One of the best forums for connecting with other dog owners, Reddit’s dog training subsection features an ongoing question-and-answer platform where users can exchange knowledge and experiences. Readers can participate in the Reactive Dog Support Group that takes place every Wednesday. Reactive dog owners come together to share their achievements, setbacks and comments about living with their reactive dogs. The social aspect of this subreddit sets it apart from similar forums and sites. Topics explored include leash management for reactive dogs, coping with owner-to-owner animosity and potential underlying causes of reactive behavior, particularly in rescue pets Adopting A Dog? Check Out These 7 Resources To Help You Choose A Breed Adopting A Dog? Check Out These 7 Resources To Help You Choose A Breed Choosing a dog breed can be a challenge. 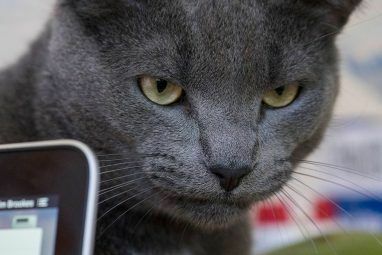 Taking into consideration your own lifestyle, members of your family, living conditions, as well as the breed’s temperament, needs and habits, there’s so much that goes into... Read More . As an added bonus, the support group also makes it easy to access extra training tools and resources for managing and training your reactive dog. This blog of animal behaviorist Patricia McConnell explores all dog-related issues but focuses specifically on behavior concerns. A free resource, this site is a repository of training and behavior information backed by simple techniques. The blog offers article categories in Dog Behavior, Canine Cognition and Shelters and Rescues. Patricia also provides links to relevant ASPCA articles that many reactive dog owners will find useful. Canine University features in-depth articles on topics ranging from grooming and behavior to socialization and breed differences. Particularly useful for reactive dog owners is Canine University’s article, “So Your Dog is Reactive!” This article provided me with some good training tips and advice about how to create a good shaping plan for my dog. I’ve also taught my dog the targeting behavior recommended in the article (her command is “Bump it!”) and it has helped put her at ease around new objects and people. This section of the ASPCA’s website is dedicated to answering tough questions about animal behavior, exercises, training, and nutrition. Unlike other websites, Virtual Pet Behaviorist was developed based on actual user questions about complex dog-ownership issues. The site has great articles about dealing with separation anxiety in your dog, food guarding and begging issues, digging and chewing, barking and jumping problems. It also has a ton of advice about dog training, leash walking, exercise tips, and proper care and grooming. In short, this resource offers a ton of advice that any pet owner Best Online Resources For New and Experienced Dog Owners Best Online Resources For New and Experienced Dog Owners Read More , but especially reactive dog owners, will appreciate. CARE for Reactive Dogs provides a blueprint for conditioning your dog against his or her reactivity. Using a three-step method, the site provides guided instructions on how to identify your dog’s triggers, manage them and conditions your dog against them. To follow the protocol of the site, start with PrepCare, then move on to TheCAREprotocol, then FollowupCARE. One of the most helpful posts on the site is this one, which pre-emptively focuses on common training mistakes many people make. As the owner of a reactive dog, one of the most valuable things I’ve learned is that I need to be my dog’s advocate. She can’t tell people “Hey, I don’t want to be around you right now because I’m scared.” That’s my job. I have to know her well enough to be able to tell when she’s uncomfortable and to know when I need to remove her from a situation before she has an excessive reaction. I’ve familiarized myself with dog body language, calming signals and how dogs interpret human body language. I can better understand how my dog is feeling and get her out of a situation that’s making her uncomfortable before it’s too late (i.e. before she has a stressful reaction). Don’t shout at your dog. Aside from making you feel animosity toward your dog, this is bad because your dog may think that you’re barking along with him/her, which won’t help your cause. Minimize your dog’s exposure to triggers. The more your dog practices a reactive behavior, the easier it becomes. Keep your dog away from triggers (this can call for a lot of creativity) and very gradually train your dog to be okay around them, if you can. Know that your dog isn’t the only one. I had a difficult time understanding and coping with my dog’s reactivity. I still have a hard time with it some days. But I’ve learned that it affects more pet owners than I was aware of. Since then, I’ve read some great reactivity articles that have helped me feel supported and hopeful. Check out this one from Bull in the City. Remember, seeking professional help from a trainer is ideal for getting the best advice and training for your dog. The resources above can help you get started, but take the time to consult a local dog trainer about further steps you can take, and make sure that whatever trainer you choose uses force-free methods. When you can better understand and manage your dog’s reactivity, you’ll feel better and your dog will have a better, less-stressful life. Do you have a reactive dog? What are some other resources you have found helpful? Please share them in the comments section below. As the owner of the Reactive Dogs group on Facebook, I can tell you that our preferred method for dealing with reactive dogs is CARE. It's the one site that gives owners a very clear blueprint for how to proceed, if they just relax, start at the beginning, and go at the dog's pace. I'm honored to know the author of the site personally and can attest to her training ability because I've referred several of my own clients to her, since I don't do board and train. All have reported success thus far. Thanks for the comment, Anne; I'm glad CARE has been able to help your clients and their pets. Thanks for reading! Oh, that's terrible! If you're looking for places to start with training against any specific issues, r/dogtraining is a good place to connect with people who have been in similar situations. Just reading through the threads and questions others have asked often gives me great tips about things I can try with my dog. Good luck with Charlie and I hope he finds a forever home soon! Excellent excellent article and advice and resources on a specific type of problem. This is gonna help a lot of people. Thank you!